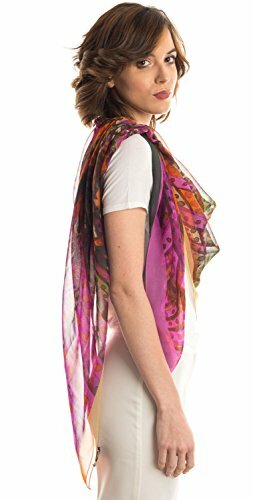 A large square silk scarf is such a versatile addition to your wardrobe. 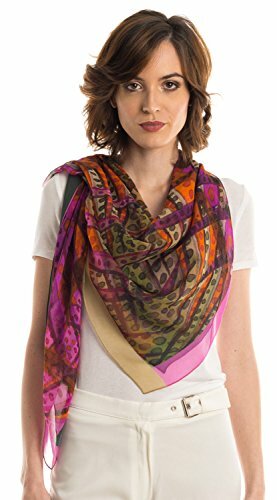 It can be worn around your neck in a variety of styles, draped over your shoulders worn as a shawl, folded in a triangle to wear as a hip scarf, tied as a blouse, or worn around your head as a head scarf or turban. 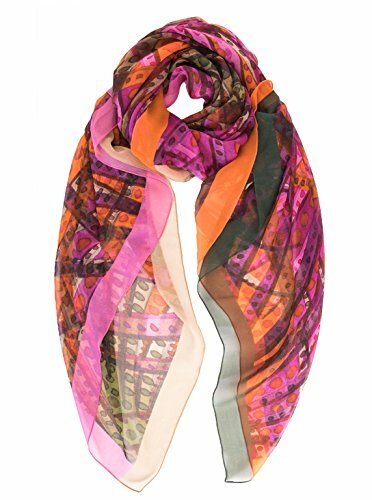 Our scarves are 100% made in Italy from luxurious silk. 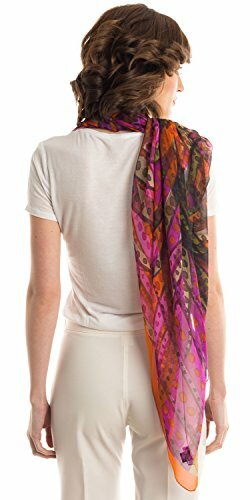 All of our scarves are dyed and printed with non toxic vegetable dyes in Italy. 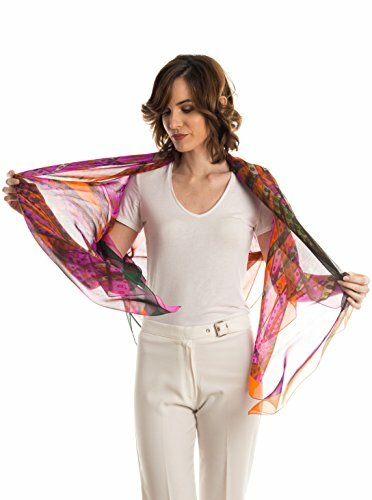 Environmentally and people friendly..
A fabulous lightweight sheer silk oversized square to wear as a large fashion scarf, as a shawl draped over your shoulders, as a head wrap. This hand printed modern design in shades of orange, sage, beige and fuchsia pink is timeless and beautiful. Sheer, floaty and fabulous. 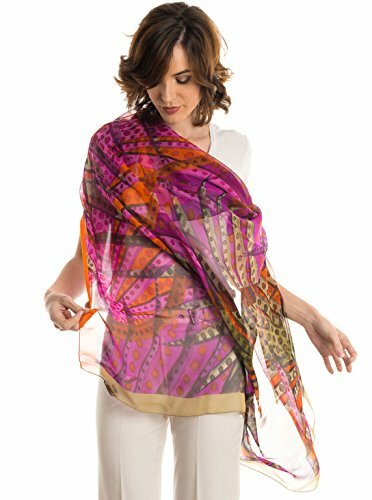 Gorgeous rich and bright colors grace this large square fashion scarf that will add modern elegance to your look. 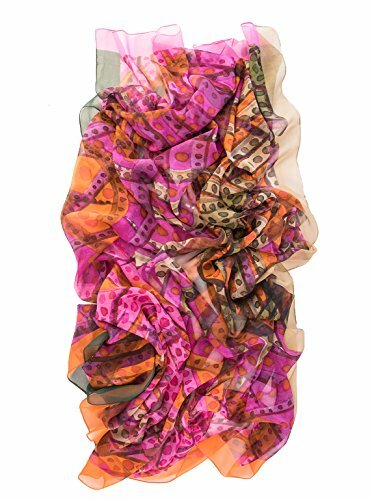 Ideally sized at approx: 54" x 54" (140cm x 140cm) for a luxurious drape and versatile styling options. Handmade along the shores of Lake Como, Italy in a family-owned mill. 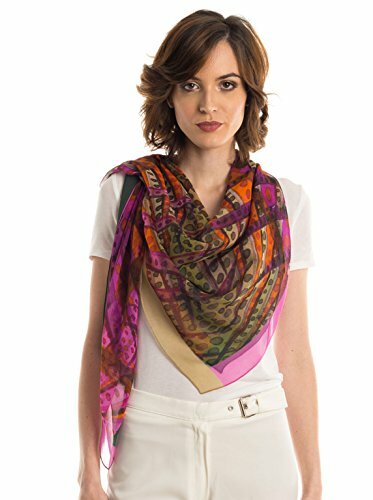 We make these in small quantities so that you know you are wearing a unique piece of art.